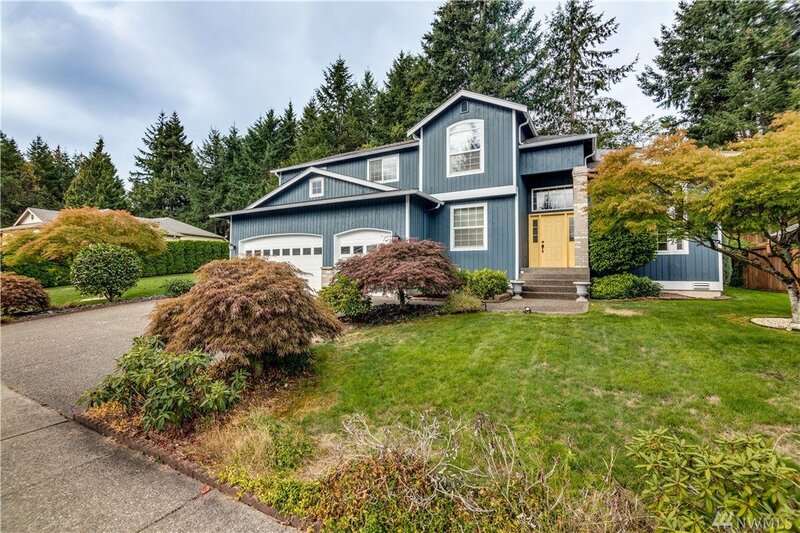 Enjoy the ultimate neighborhood experience in this 4 bed 2.5 bath home nestled beside a greenbelt. Kitchen is open to great room with doors leading to covered back patio & fire pit. Oversized master with ensuite, 3 large additional bedrooms & an Office on the main floor. Stroll the sidewalks of the surrounding neighborhoods or sit & enjoy the large flat backyard with deck and sprinkler system to watch the fall leaves change all within walking distance to great schools & the downtown waterfront. MLS #1358906 | Listing provided by NWMLS & Hawkins Poe. Disclaimer: The information contained in this listing has not been verified by Hawkins-Poe Real Estate Services and should be verified by the buyer.